The city is home to a food-centric museum, SoFAB, that’s cooking up 300 years of Southern American Cuisine. It took about 24 hours. By that time, I was hopelessly, helplessly in love. Luckily my husband felt the same way. 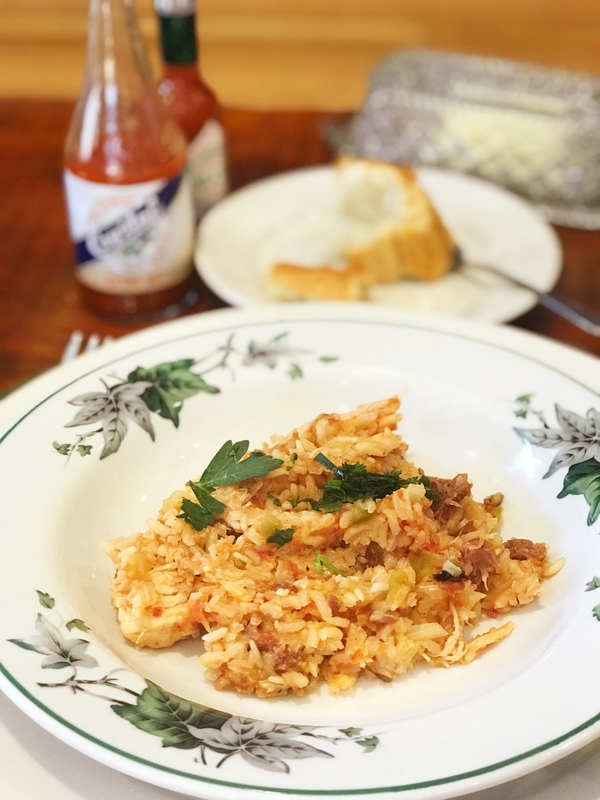 We swooned at every sultry bite of andouille sausage in our freshly prepared jambalaya. “I could eat this every week,” I said. He nodded in agreement, mouth too full to speak. 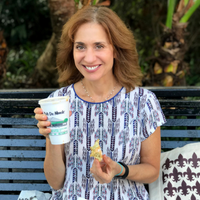 My love affair with New Orleans, Louisiana, was not unexpected. The cuisine has been my undisputed favorite for decades. You’d think with such high expectations, New Orleans would disappoint, but instead, the grand dame of a city surpassed them all. My first priority was to book a cooking class at the Southern Food and Beverage Museum (SoFAB). If you love to cook, it’s worth seeking out an instructional experience when traveling to new destination. Luckily, I didn’t have to choose between a food tour or a cooking class, because SoFAB offers a combination of both twice a week. The modern complex is organized into four-parts: museum, restaurant, instructional kitchen, and a pantry that sells culinary items. SoFAB and its partner, the Museum of the American Cocktail, was originally founded by the National Food & Beverage Foundation to study and preserve the cultural heritage of American food and drink. These studies are particularly important now, as 2018 marks the 300th anniversary of the founding of New Orleans. For over three centuries, descendants of France, Spain, Italy, the Caribbean, Native Americans and African Americans have inhabited this land and all played pivotal roles in shaping the culture of the crescent-shaped city. We followed Williams as she pointed out tables organized like a food market; each whimsically arranged with iconic ingredients representing America’s southern states. Maryland’s stall contained Old Bay Seasoning and a bushel of blue crabs. Georgia’s table focused on peaches and peanuts. Kentucky showcased bourbon and hot browns. The largest display featured Louisiana’s diverse culinary history: oysters, pralines, red beans, chicory coffee, yams, Cajun seasonings, as well as Elmer’s Chee Wee Candy. 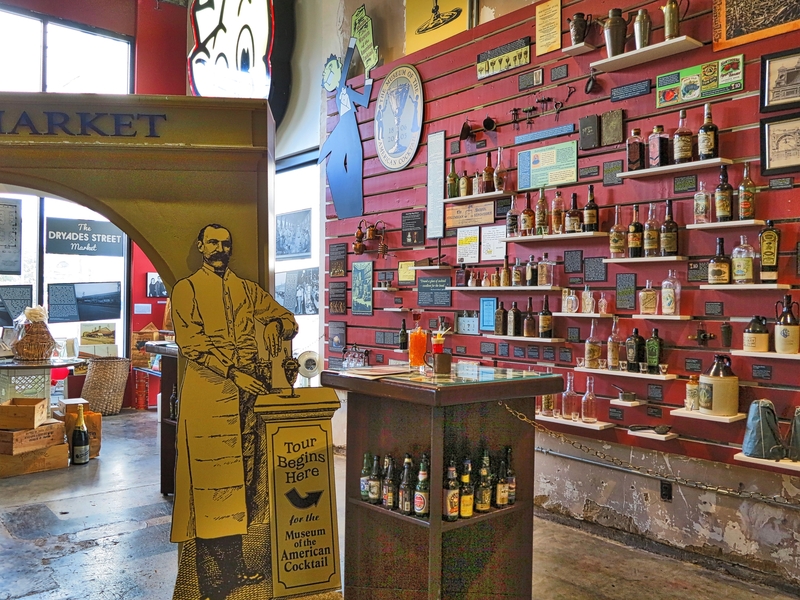 The La Galerie de L’Absinthe exhibit is designed to resemble a 19th century barroom, displaying a collection of memorabilia donated by Raymond Bordelon. This one-of-a-kind showcase of absinthe cocktail gear and spoons is the perfect setting to learn how this legendary spirit became associated with romantic writers and painters and when absinthe was banned in the United States. You’ll also discover the essential connection between absinthe and New Orleans and why it was recently legalized again. The highlight of our SoFAB program was learning how to make (and then tasting!) remoulade, jambalaya and bananas foster. 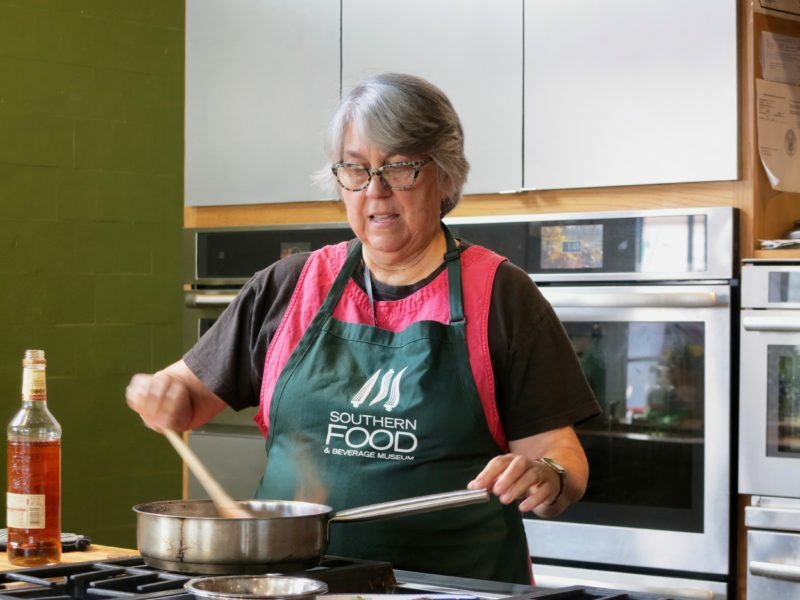 While participants sat perched on stools overlooking the demonstration kitchen, Jyl Benson, SoFAB’s director of culinary programming, presided over ingredients and preparation. After she finished, we served ourselves remoulade sauce over green salad and heaping portions of fragrant jambalaya. “Poach your shrimp first, and leave them in fridge to chill. Same thing with sauce, then toss the two together” explains Benson, who is the author of several recipe books including Fun, Funky, Fabulous: New Orleans Casual Restaurant Recipes. “It’s better to make the remoulade sauce the day before, and let it chill. If you put the shrimp in and let them sit, there’s so much acid in the sauce that shrimp will continue to cook and get mealy.” We sampled the punchy remoulade with gusto before moving onto Benson’s signature jambalaya recipe. The final act was conflagration of bananas foster. After reassuring us this recipe was easier than it looked, Benson lit the pan of syrup on fire, then served it over bowls of ice cream. My husband and I sat stunned with amazement. The combination was so jaw-dropping and fabulous that despite being full, we shoveled it down. “If you learn to cook this, I’ll marry you all over again,”he said. They don’t call New Orleans America’s most romantic city for nothing. SoFAB is celebrating its 10th anniversary this year. 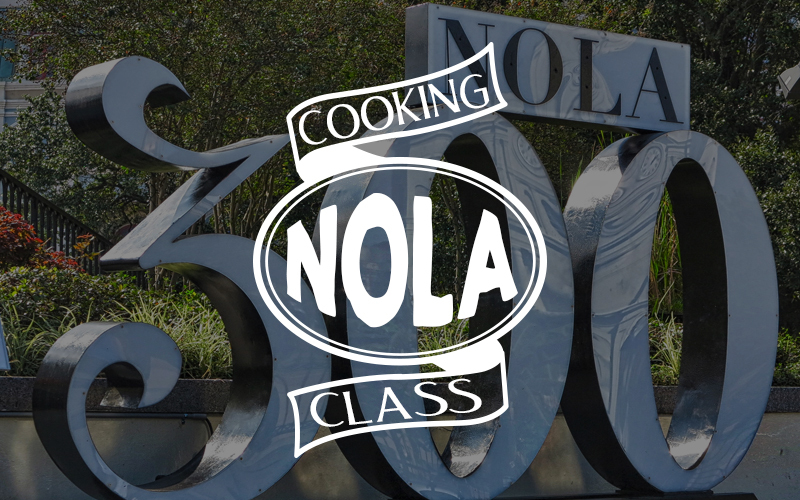 Cooking classes rotate between Creole New Orleans Cuisine, Louisiana’s Cajun Cuisine, and Creole Italian Cuisine; check the booking calendar for dates and topics. Class cost an average of $45-50 each. Head to Crescent City Farmers Market for an authentic New Orleans’ market experience. Also visit the French Market on Peter Street; it’s open seven days a week and sells food as well as souvenirs. For a hotel, I recommend the charming and elegant Windsor Court Hotel in the heart of the French Quarter. For more ideas, check out Visit New Orleans.